In a truly remarkable display of feline tenacity, Bart the cat shocked his owner by returning home a full 5 days after being placed in his grave. Bart’s owner, Ellis Huston of Tampa, FL, discovered what he thought to be Bart’s lifeless body last week in the middle of a road near his home. According to Huston, the cat was cold and limp, lying in a pool of his own blood after having apparently been struck by a car. Huston couldn’t bear the loss and asked his neighbor to bury Bart nearby. Five days after the burial, Huston was astounded to find Bart at his door. 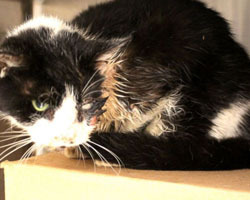 Huston immediately sought veterinary attention and discovered that the dogged cat was suffering from a broken jaw, ruptured eye, and dehydration. Though unable to pay for Bart’s medical bills on his own, Huston found relief through the Human Society of Tampa Bay, who offered to pay for Bart's medical procedures. According to the Tampa Bay Times, Bart lost his eye in the accident but is otherwise expected to make a full recovery. The need to locate lost pets has long-been a pressing concern for pet owners everywhere; but with the wonders of Moore’s law rapidly improving our technological capabilities, the pet-tracking industry is seeing unprecedented growth. 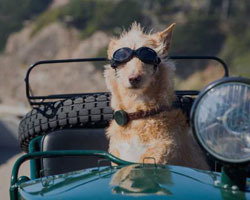 Just this week, the pet tech company Whistle made two incredible strides toward growing their pet monitoring services. TechCrunch reported Whistle’s acquisition of Tagg earlier this week, a move that Whistle’s CEO stated will “push the evolution of Whistle’s pet hardware even further.” While Whistle expects Tagg’s technology to be fully integrated into its products by the end of this year, they also plan to continue full support and services for current users of the Tagg Pet Tracker. This effort, along with other planned endeavors to expand their product line, will be funded with a recent $15 million investment from various sources. 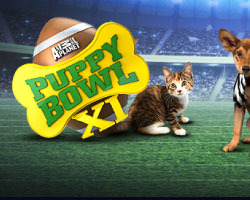 It’s that time of year again- Animal Planet’s annual Puppy Bowl is finally here! And for the first time in its eleven year history, Animal Planet is bringing the puppies into your home! That’s right, Animal Planet has teamed up with Uber to offer puppies on demand. The unorthodox promotion is only available in ten major cities across the nation: Atlanta, Baltimore, Cleveland, Dallas, DC, Denver, Indianapolis, LA, Phoenix, and Seattle. The program offers 15 minutes of puppy playtime for just $30. For those concerned about whether or not the program is ethical, puppies partaking in the program are coming from local rescues and are also available for adoption. Unfortunately, this means that availability is limited, so if you’re interested in partaking in the program- it’s best to act fast. You can find directions on how to request your puppy party on Uber’s blog post about the event here. DogTipper is an incredible blog that often works to bring dog lovers the toys and treats they need to keep their pups happy. Just yesterday, the blog teamed up with Zuke’s to give away more than $750 in merchandise to virtual party-goers. The event inspired more than 30,000 entries from dog lovers via Twitter that each proposed good ways for dog owners to spend Superbowl Sunday with their pups. 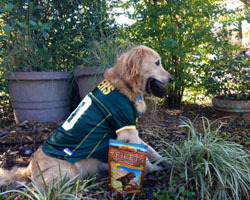 In addition to highlighting Zuke’s brilliant product line of natural, healthy treats for dogs, the party also generated a nice repository of dog care tips and adorable pictures of pups ready for the big game (see the picture on the right, courtesy of Twitter user @5MinutesforFido). To get the lowdown on future promotions, we encourage you to check out DogTipper whenever you get the chance!